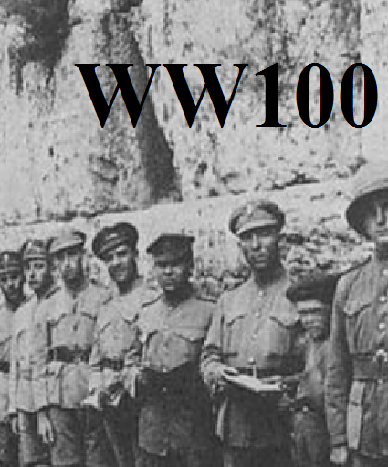 As the British-commanded ANZAC troops moved north after the battle of Be'er Sheva they were greeted as liberators by the Jews of Palestine. 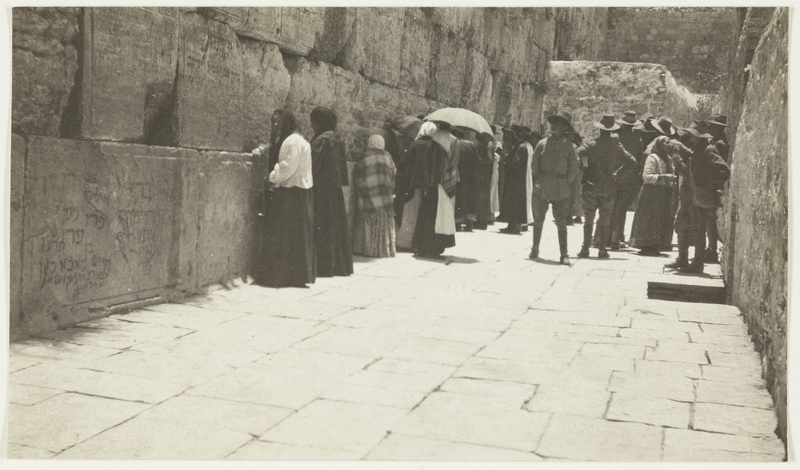 New Zealanders were hosted by the Jews of Rishon LeZion, and Australians entered Jerusalem with General Allenby at the end of December 1917. The picture below was taken by Bugler J. F. Smith of the 7th Light Horse. "Enlisted 11 October, 1914. Home on ANZAC Furlough in October, 1918." These pictures of Jews of Jaffa and holy sites were taken by "R. F. Ingham, 1st L."
clock tower. Who are the group of men in front?